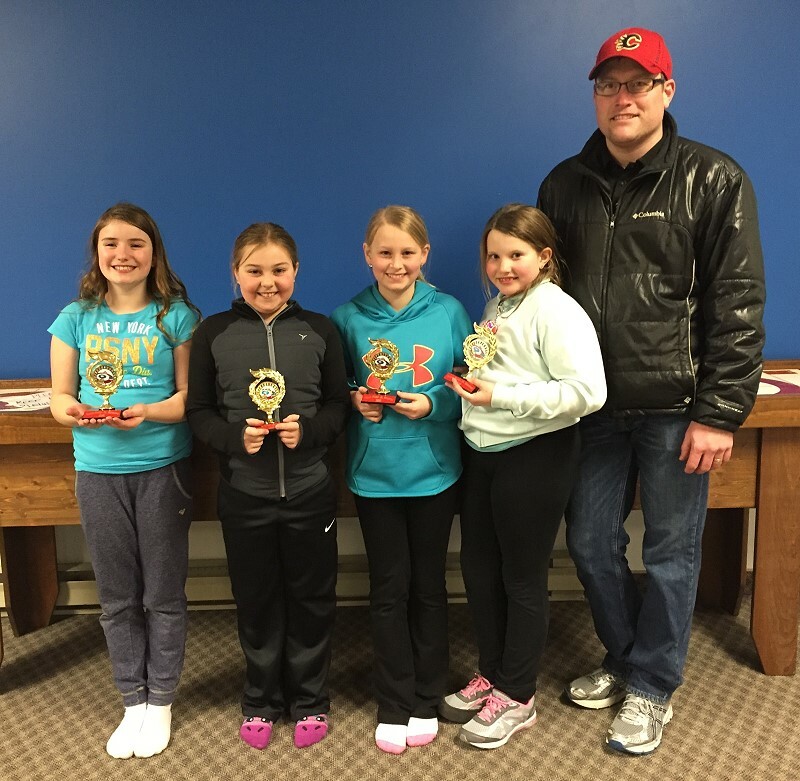 12 teams from the Swan River and Bowsman Junior Curling Clubs competed in the Swan River Junior Bonspiel on March 6, 2016. The day was filled with great curling and sportsmanship! Pictured Above: Group A winners were the Presley Sagert team defeating Team Karter Meyn in final. L to R: Cailey Jones, Madison Sagert, Eden Betcher and Presley Sagert. Presenting the trophies event sponsor Kelli Riehl from Riehl’s Lumber and Logging. Group B winners is the Darrrien Armistead rink defeating the Jessie Meyn team in final. 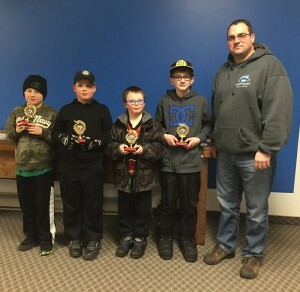 L to R Mason Van Kleek, Braydon Fothergill, Kaden Meyn and Darrien Armistead. Presenting the trophies is Craig Zamzow representing Swan Valley Credit Union. Group C winners was the Bailey Mangin rink defeating the Kieran Maksymchuk team in the final. 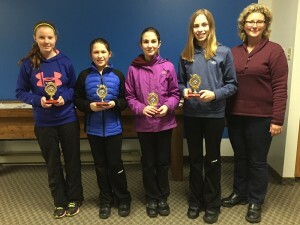 L to R: Crystal Zamzow, McKenna Gray, Bailey Mangin and Liv Leadbeater. Presenting the trophies is Jeff Leadbeater representing Swan Valley Pharmacy.